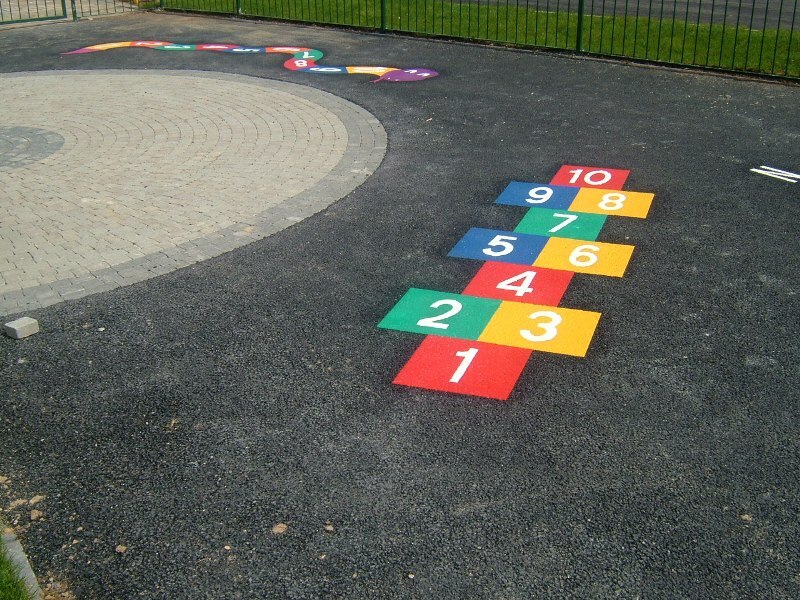 Ground graphics are a very cost effective way of increasing the play value of otherwise dull and lifeless surfaces. 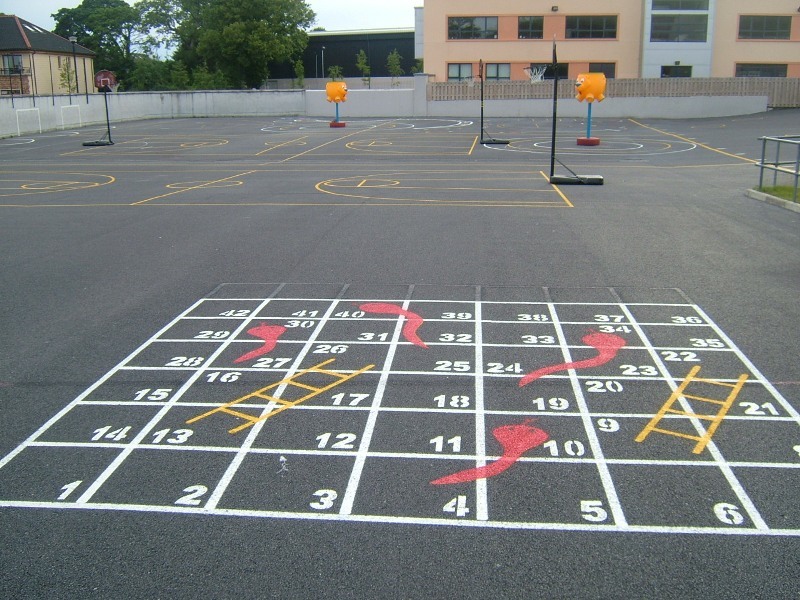 With a range of graphics available the opportunities for educational and developmental games are endless. 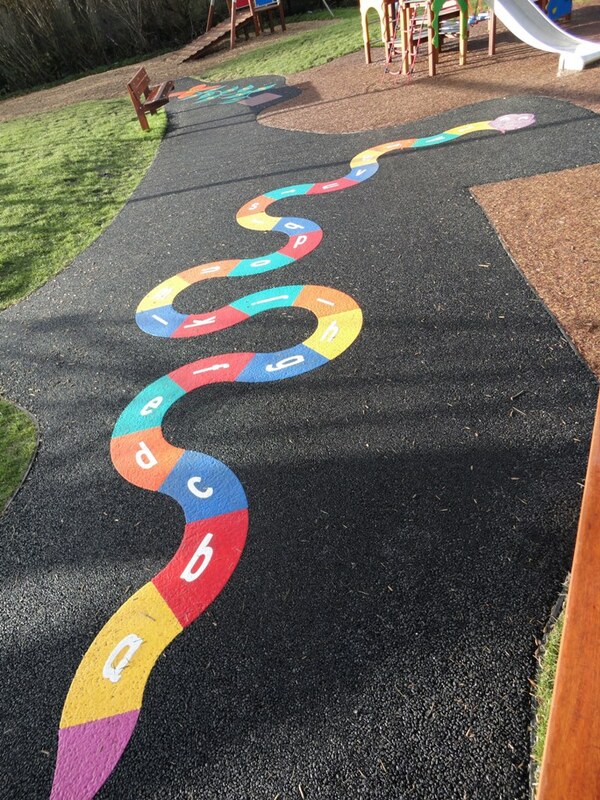 Children love to sing the alphabet and with this coloured snake they can combine this educational activity with physical exercise as they hop, skip and jump through the letters. 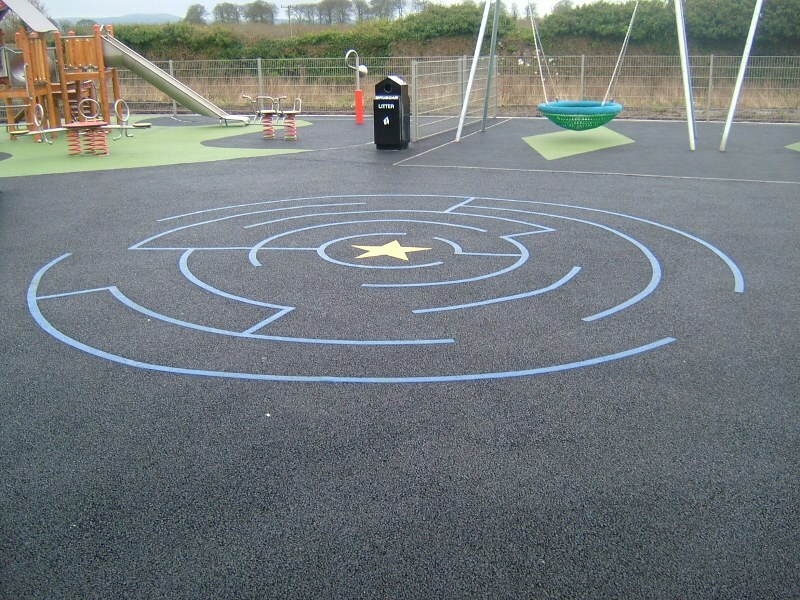 This circuit can vary in size and uses a variety of shapes and lines. 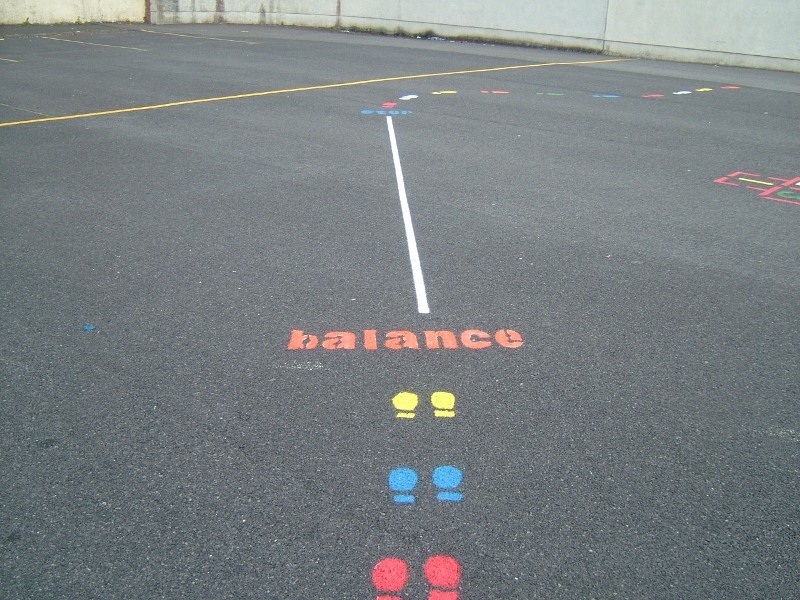 Balance Beam: walk along the balance beam one foot in front of the other. Running Line: run as quickly as possible. Run with your arms stretched like a plan or pretend it’s a tight rope and practise balancing skills. Stepping Stones: move from one step to the next, walk on tip-toes or jumping with both feet. 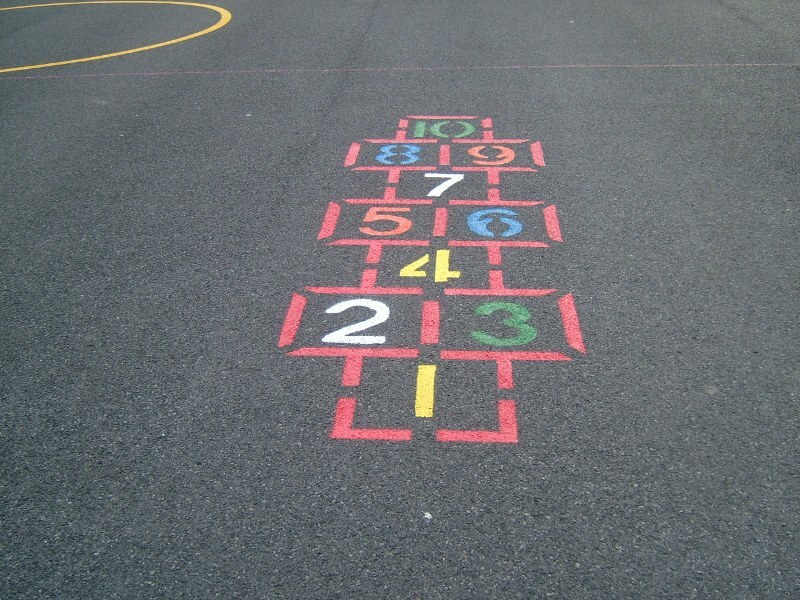 Jumping Lines: jump to the furthest line from the baseline. 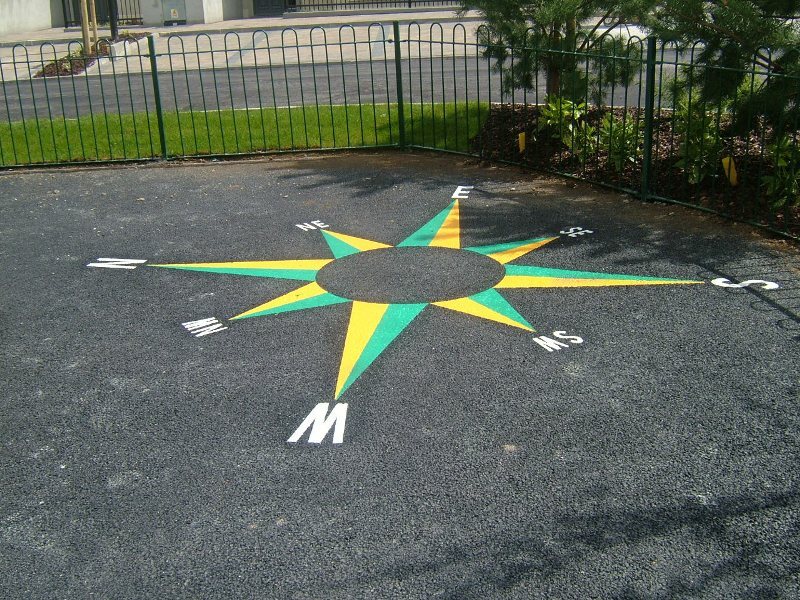 Encourages children to improve their distance each time they take part. 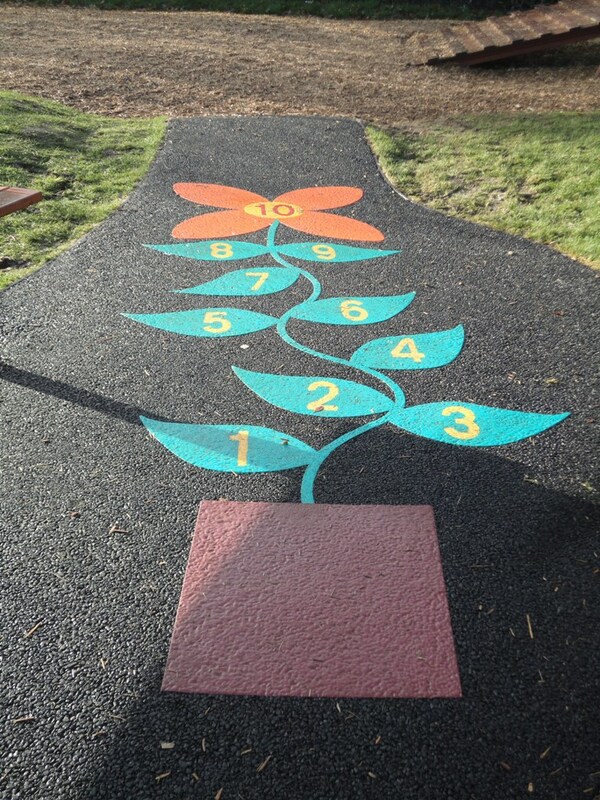 Foot Prints: children can skip along the footprints pretending that they have a rope circling their arms as they skip. Frog Prints: hop with both feet or on one foot along the trail.